With its intuitive interface, Cookbook+Calendar is designed to be a recipe database and to help with planning a menu or a diet. The software supports most of the formats, including HTML, which makes saving recipes extremely easy. Just save it as is, drag and drop it directly into the appropriate time slot – and it is in the database! 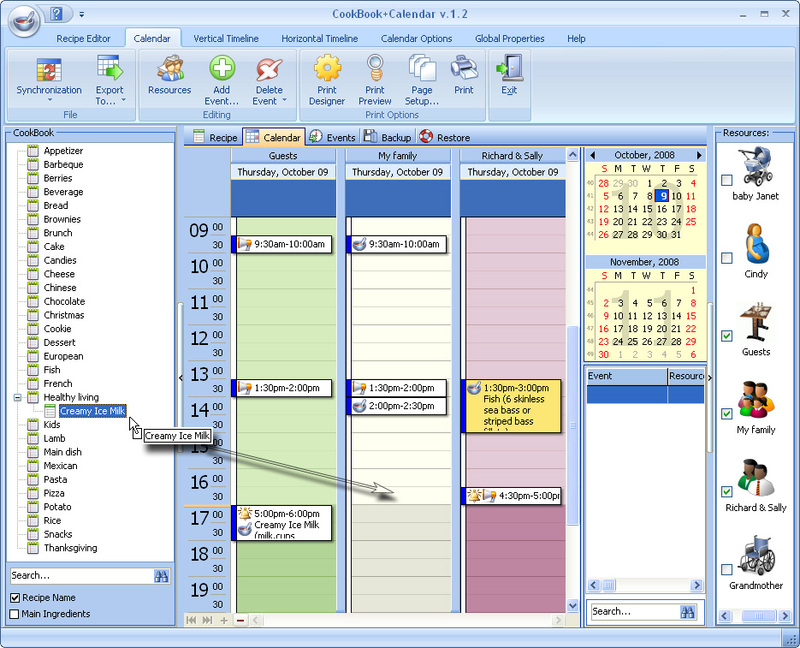 Flexible options allow customizing the calendar and copying events or changing the date. It also supports adding pictures, comments to the recipe and information for glossaries. 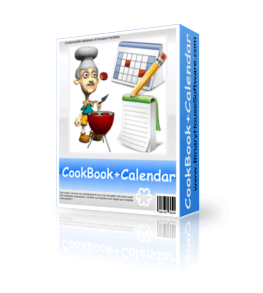 Cookbook+Calendar will provide you with the list of holidays, and it will remind you when you should start cooking dinner. What’s more, with it you can create shopping list reminders. The program features search by recipe name and also by main ingredients, which means that it is always ready to suggest you a recipe for the products available in the fridge. Cookbook+Calendar supports exporting recipes of any format and saving them on USB, so you can easily share your favorite recipes with your friends and mates. The program is designed to enable the communication between different scheduling applications. You can save appointments into an iCalendar file with the .ics extension. The program can serve as a home accountant: it lets you calculate and save the approximate price of the dish, and then provides you with the statistics for any period of time; thus, with its help you can track all the food expenses. Cookbook+Calendar is a must-have for those who want to be in full control of the meal planning calendar.